Ankylosing spondylitis is a type of arthritis. It is a chronic inflammatory disease that affects the lower part of the spine, resulting in pain, stiffness, and decreased mobility of the spine. Surrounding joints, such as the sacroiliac joint (the lower part of the spine where it joins to the hips) and neck may also be affected. This painful condition can cause bone erosion, increased bone formation in the spine, and can lead to deformity of the spine in advanced stages. 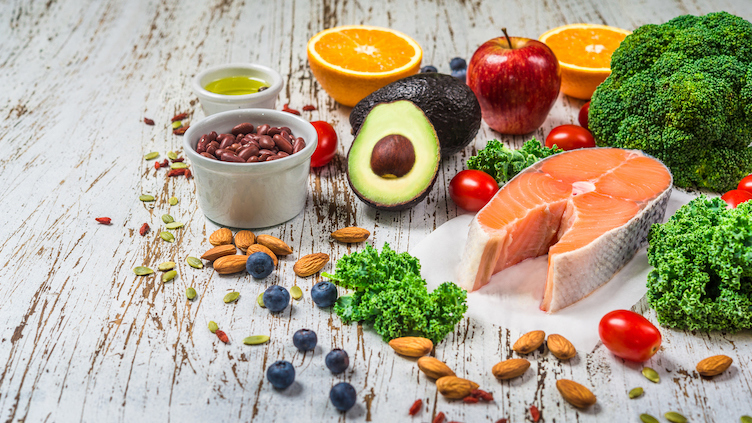 While there is no cure for ankylosing spondylitis, what you eat can dramatically affect the way you feel and minimize some of the side effects of this condition. Omega-3s: There is significant evidence that a diet rich in omega-3 fatty acids can improve symptoms caused by inflammation. Fatty fish, such as Alaskan salmon, herring, mackerel, anchovies, and sardines are the best fish sources of omega-3s. Flaxseeds, walnuts, chia seeds, and oils such as canola, soybean, and walnut are also good sources of this healthy fat. Look for foods that have been fortified with omega-3 fatty acids, such as eggs, soymilk, yogurt, and juices. Fresh fruits and vegetables: Brightly colored vegetables, such as spinach, kale, broccoli, carrots, grapes, bell peppers, oranges, and tomatoes are rich in antioxidants that have numerous health benefits, including disease prevention and reduced inflammation from chronic disease. Think about “eating a rainbow” of colors from these food groups each day. Foods rich in calcium and vitamin D: Calcium and vitamin D help to build strong bones, which is essential since people living with ankylosing spondylitis are at high risk for osteoporosis. The best sources of calcium are low-fat dairy products, including milk, cheese, and yogurt. Vegetables such as kale and broccoli are also good sources, and fish with soft, edible bones (like sardines and canned salmon) also contain calcium. Many products such as bread, cereal, pasta, and juices are now fortified with calcium. Milk substitutes, including almond and soymilk, contain even more calcium than a glass of milk. To get more vitamin D in your diet, consume dairy products that are fortified with vitamin D. Fatty fish, egg yolk, butter, margarine, and fortified cereals are also good sources of vitamin D.
Processed foods and refined carbohydrates: Eating fewer processed foods and eliminating refined grains from your diet can help to reduce chronic inflammation. Cutting back on simple carbohydrates found in white bread and refined grains and cereals can help you to identify if these foods may be contributing to inflammatory symptoms. 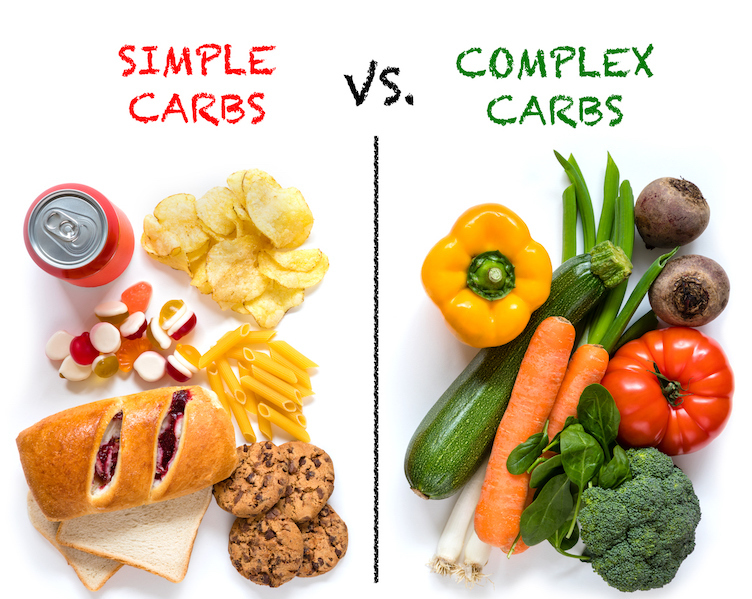 Choose complex carbohydrates (like whole grain cereals) that are higher in fiber and protein over simple carbohydrates made from refined white flour (such as white bread, chips, crackers, and snack foods). Sugar: A high-sugar diet has been linked to chronic inflammation, in addition to other health problems, such as cardiovascular disease and diabetes. Sugar is hidden in many packaged and processed foods and is often hard to identify. Common names for sugar added to foods include fructose, maltose, sucrose, lactose, and dextrose. Sugar is also found in ingredients such as cane juice, fruit juice concentrate, corn syrup solids, malt syrup, and honey, so be sure to read labels to identify hidden sources of sugar. Red and processed meat: Avoid consuming red meat (beef, lamb, and pork) and processed meats (bacon, hot dogs, salami, sausage, and ham), since intake of these meats has been linked to increased inflammation in the body. High-fat foods: The Arthritis Foundation recommends avoiding high-fat foods, especially foods high in trans-fat and saturated fat, since they can contribute to inflammation. Avoid red meat, full-fat dairy products, and packaged snacks and sweets to limit your intake. High-sodium foods: A high-sodium diet has been linked to chronic inflammation and autoimmune disease, so it’s wise to avoid excess salt in your diet. Limit packaged, processed, and canned foods as well as condiments and sauces with added salt. While there is no cure for ankylosing spondylitis, diet may impact how you feel while managing your condition. Maintaining a healthy weight is critical, since excess weight can lead to increased stress on your joints. Being overweight is also a risk factor for osteoporosis. If you need guidance on managing your symptoms through diet or need help with weight loss, seek the advice of a registered dietitian.